Argentine citrus specialist San Miguel has acquired Peru’s biggest mandarin producer, Agrícola Hoja Redonda, for US$64m. San Miguel’s move into Peru gives it better access to customers in the US West Coast and growing markets in Asia. CFO Patricio Aguirre Saravia said the deal would be financed by a proportion of the funds received from a public share offering earlier this year. In February the company issued 67.2m new shares to raise money for its ongoing global expansion. In a statement released on Monday San Miguel said the deal would be finalised between 10 and 20 August. Agrícola Hoja Redonda produces 28,000 tonnes of citrus, avocados and table grapes a year from its two farms in Ica and La Libertad. Together, they have 1,382ha under production and a further 326ha for future expansion. The acquisition of Agrícola Hoja Redonda strengthens San Miguel portfolio, giving it a presence in four of the six main Southern Hemisphere citrus producing countries (the others being Argentina, Uruguay, South Africa). “[This deal] reaffirms San Miguel’s position as the Southern Hemisphere’s leading counterseasonal citrus supplier, offering the volume, quality and varieties that respond to the needs of the most sophisticated markets in the world,” CEO Romain Corneille said. In 2016 San Miguel acquired two new farms in South Africa’s Western Cape, bringing the company’s total acreage in the country to more than 1,000ha. 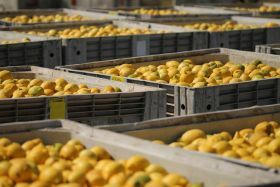 Due to its proximity to Asian and Middle Eastern markets, South Africa is a key plank of its strategy to become the leading supplier of Southern Hemisphere citrus. San Miguel exports more than 100,000 tonnes of fresh citrus a year to more than 80 countries and processes another 400,000 tonnes at its three processing plants in Argentina, Uruguay and South Africa. It has an annual turnover of US$250m, with oranges, mandarins and grapefruit now accounting for more than half of the group’s sales.